So if you pre-ordered Sword Coast Legends, then you were able to access the game this weekend with Head Start Access through Steam. Players were able to test out new updates and play the game for a limited time. Head Start was scheduled for September 18th to 20th. So, as planned, Head Start started Friday at 2pm, and then was extended to 12 PM on Monday. I played the game with my son this weekend and with other people that had the game. You can also play solo and have a party of pre-generated characters that the game lets you choose. Also, as a DM you can create scenarios and be on the control side of the scenario. The Story Mode wasn’t open yet, so I’d like to see that part of the game when it releases September 29th. 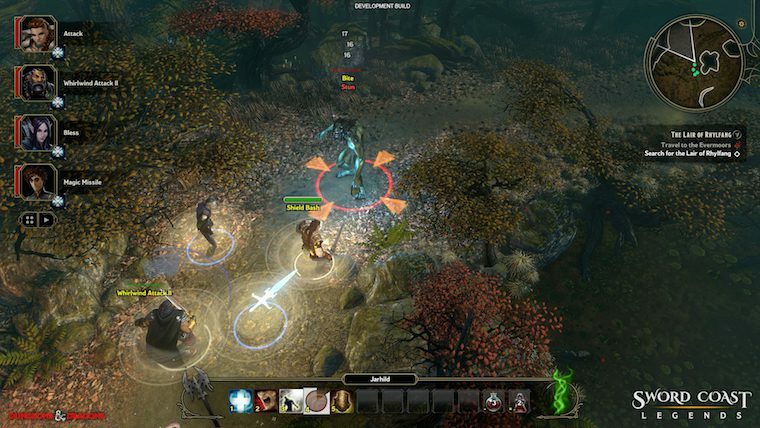 Sword Coast Legends is a top down view strategy based Dungeons & Dragons game. You can play strategy turn based, real time action play, or a mix of both. The game allows you to play with a party of friends, strangers or a party that you can control. The game is very open, and easy to learn to play. The game is a little rough right now, but it does allow a lot of customization and flavor, even though you wouldn’t expect that out of a video game. My experience was a little mixed. I really enjoyed character creation as it was very close to the D&D 5th edition RPG rules. 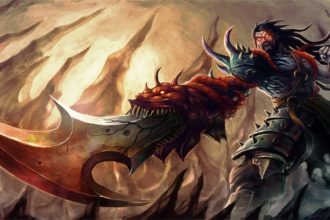 I understand why there were differences, because a lot of tabletop D&D doesn’t translate easily into a computer game. Character generation is simple, and there were some missing classes and races. Backgrounds gave stat boosts, and the character class powers were all selectable in a tier based system. Experience was earned by completing quests, and when you defeated a group of monsters. 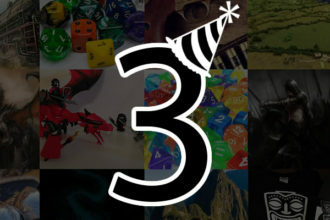 Level progression followed the experience point structure of 5th edition, and a character can level up characters at any time. Leveling up was simple, and you could do it in the middle of a game. Ability score increases gained at specific levels were not exchangeable for Feats like in D&D. Leveling up gave you many choices by giving skill points to select different skills. It allowed a lot of customization for a character. Moving the character was done by clicking the ground, and the character going to that point. Powers/abilities were selected by clicking or hitting a hotkey. Such as healing, charging an enemy, or casting fireball spell. All of these abilities had timers, and the more powerful ones had timers up to 3 minutes in length. While cantrips and basic attack actions were in the seconds. Magic items could help reduce the time. Selecting a monster would allow auto-attacks with the basic attack action for your character. Fighters swinging weapons, rogues shooting arrows, or wizards casting firebolts. You could switch between 2 outfits that would allow you to change your fighting style on the fly. I didn’t go in too far in depth with the DM Mode scenario creation because I was busy testing out building characters, playing modules, and leveling them up. Adventure creation for a DM had a good D&D feel to the game and was easy. Even though the game is just at the beginning, there are several crowd created modules to download & play. So you can see that there can be a lot of investment in the game by players. That sort of investment in actually creating scenarios and running those with your friends will create bond with a game that has a lot of potential. Those downloadable modules are also rated by other players, so you will be able to play and rate games that people put out there for people to play. A very nice feature. There were a few things that I didn’t like during playing the game. These may come with the released game, so these hopefully are fixed by then. Enemy selection: I was not able to quickly select the closest enemy. This became a problem when the game didn’t allow tactical pausing to click and select a enemy. You could have a character standing and not fighting because you didn’t click the monster accurately. Treasure distribution: The person that clicked on a treasure or chest would be able to hoard all the treasure in the game. There wasn’t a way to distribute treasure/gold fairly from monster drops and chest. So if you were a long range player, you missed out on a lot of stuff. The front line fighters were able to get to the treasure first. Many scenarios did give a treasure at the end of quest completion. Trading: To trade, a character selected his inventory and dropped items on the ground. If you’re not careful, another character could swoop in and take what was being traded. Needs to have a in-game trade option with other players. Inventory: Another nitpicky thing of mine. There wasn’t an easy way to just sell off all the junk you had picked up to a shop. You did it one item at a time. I also would like the game to allow an on/off switch to auto select the best items for my character from my inventory, so that I can start using them right away. I could have an item sit in my inventory and not even realize that I am missing that item on my character. So if you are waiting for reviews on the game before purchasing, then be on the look out for a full review from me after the final game releases. The game was good, and I did spend a lot of time playing it, but I’d really like to see the Story Mode part of the game before I make a final decision. I might have left a few details out of playing the game, so if you have any questions, please let me know. 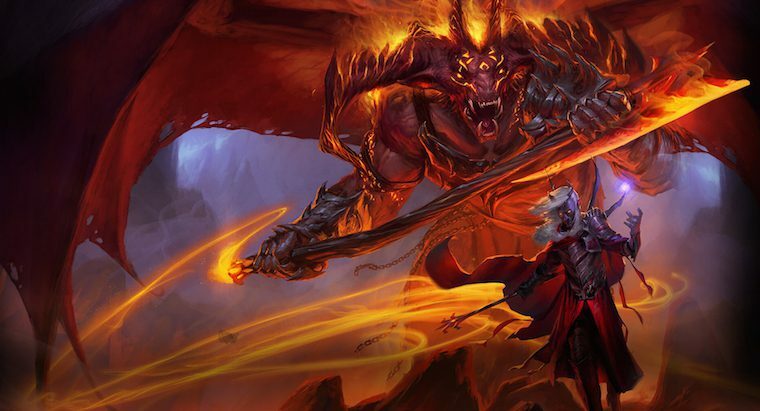 Set in the lush and vibrant world of the Forgotten Realms, Sword Coast Legends offers an all-new way to enjoy the time-tested magic of playing Dungeons & Dragons as a shared storytelling experience. With a deep narrative developed by a team of long-time industry veterans and a partnership with the Dungeons & Dragons team, the single player campaign of Sword Coast Legends brings the world of Faerûn home like never before. A return to form, SCL is the compelling and complex RPG you’ve been waiting for and features pause time, party-based tactical combat and involving storylines. Set in the Dungeons & Dragons Forgotten Realms universe based on the fifth edition ruleset and populated with Dungeons & Dragons lore and legend.